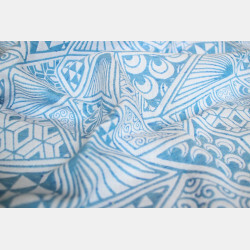 Random Aqua in our well known La Vita pattern. The combination of cotton and linen gives the wrap a subtle shimmer. 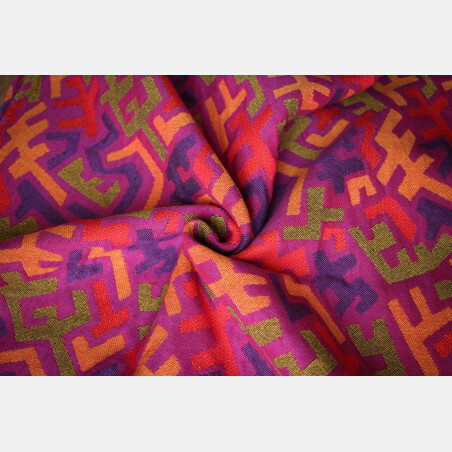 The wrap has a pleasant, light-weight feel, is airy and suitable for all weather circumstances. Will be great as a solid shorty, easy in a ring sling and also perfectly manageable as a base in single - or multiple layered carries.